Child custody matters are often the most contentious and hard fought. The emotional investment of parents sometimes makes it difficult to find a mutually acceptable solution. Negotiating or litigating these very sensitive matters requires an attorney who understands the delicate nature of allocation of parental responsibilities proceedings, and has the skill and experience to provide effective advocacy. Our attorneys at The Stogsdill Law Firm, P.C., in Wheaton have experience helping parents navigate all issues related to parental responsibilities. 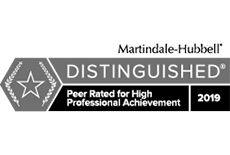 We are able to assist you with your case, whether you are seeking to negotiate a co-parenting arrangement or expect a fight for your parental rights. Questions about child custody? Our firm has the answers. The best interests of the children come first in custody cases. We seek to resolve these matters as quickly and painlessly as possible. We will try to negotiate an amicable resolution that preserves a positive co-parenting relationship. 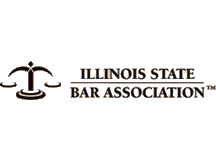 Recent changes to the Illinois Marriage and Dissolution of Marriage Act have created a new understanding of child custody and parenting duties in Illinois. Going forward, new orders under the law will no longer establish sole or joint custody arrangements, and neither parent will be known as a custodial or noncustodial parent. Instead, each parent will, by agreement or by order of the court, be allocated certain parental responsibilities regarding the child. The specific authority of each parent will be dependent upon the circumstances of the particular family. Similarly, parental visitation is now known as parenting time, and is a presumed right of every parent, unless time with that parent presents a danger to the child. Plan Now To Protect Your Rights. Contact Us. A comprehensive and effective parenting agreement can prevent parenting disputes in the future, and help maintain a positive relationship between parents and children. While a negotiated parenting plan is preferred and encouraged by law, we understand that some parenting disputes require litigation to achieve a resolution. We are always prepared to argue aggressively for our clients' rights and the interests of their children in court. 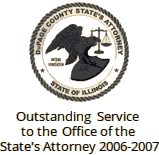 We represent parents in DuPage County, DeKalb County and the surrounding areas in custody matters. We have decades of experience handling sensitive custody matters. Let us help you. Call 630-462-9500, or contact us online.